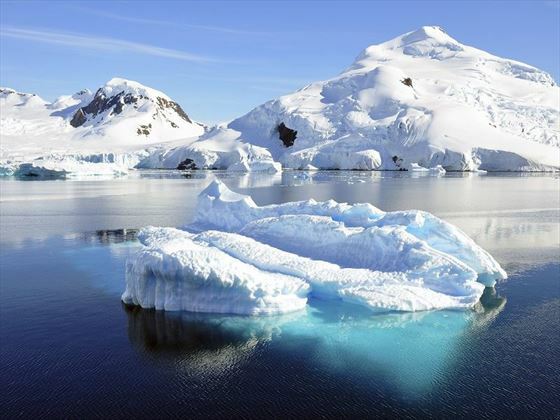 There’s no place on earth that can be remotely compared to the immense beauty of Antarctica’s pure white landscapes and sheer magnificence of its challenging elemental forces. 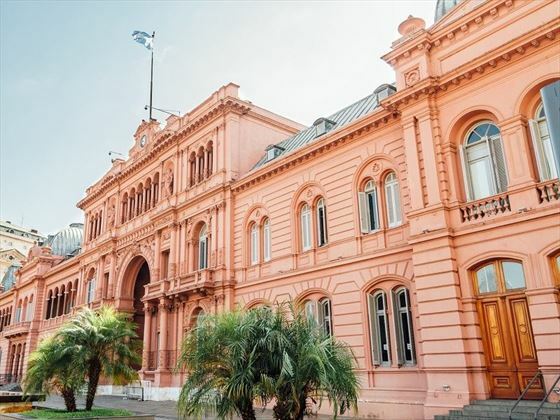 Starting and ending with a night in Buenos Aires, you’ll have some time to soak up the vibrant atmosphere, beautiful architecture and famous sights of Argentina’s capital before flying over Patagonia to Ushuaia, the world’s southernmost city, where your 10-night adventure cruise will begin. 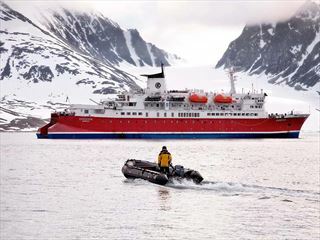 Aboard the National Geographic Expedition Ship, you’ll find a variety of modern equipment made for exploring the region, including stand-up paddleboards, sea kayaks, snorkelling gear and wetsuits. 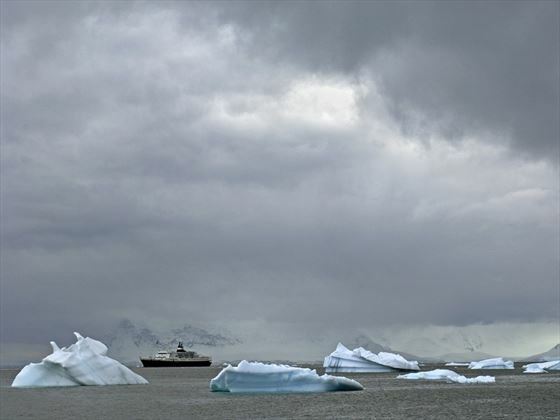 Each ship is equipped with the latest innovations in exploration technology, including bow cameras, remotely-operated vehicles, undersea cameras and video-microscopes, your eyes and ears beneath the ocean waves. A team of experts accompany every trip, including naturalists, undersea specialists, scientists and researchers, who will bring each destination to life with their deep insight and knowledge. Simply breath-taking in every way, the surreal remoteness of the ‘white continent’ allows for a completely flexible schedule throughout the cruise, embracing the chance to take advantage of the unexpected with nearly 24 hours of daylight; one day, you may step ashore to see a colony of Gentoo Penguins, another, you could be kayaking along a cliff-side rookery, speed-boating amongst towering icebergs or hiking to a summit for spectacular views and photography opportunities. You will also find a National Geographic Photographer aboard the ship, who will be happy to share expert tips and tricks, and assist you with your own photography, whilst the on-board undersea specialist may present videos from their daily dives, sharing rare photos taken from up to 1,000 feet below the ocean surface. All ships feature comfortable, spacious cabins, a beautiful lounge and a library, whilst a full range of wellness facilities ensure the perfect touch of relaxation after an active day. A team of expert chefs will create a selection of delectable dishes for breakfast lunch and dinner, which will reflect the local cuisine of the regions you visit, made using fresh, local and sustainable ingredients. 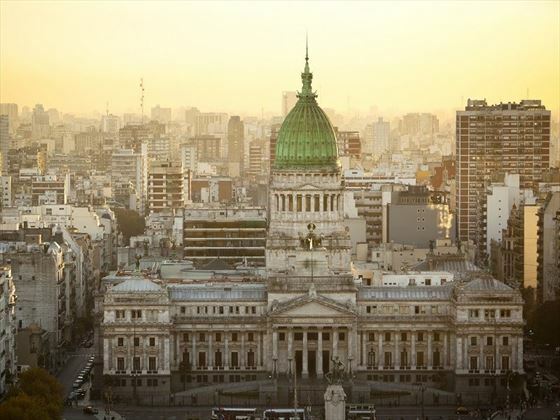 Arrive in the cosmopolitan city of Buenos Aires, well-known as the birthplace of tango and the ‘Paris of South America’. This afternoon, enjoy a panoramic city tour around the beaux-arts palaces, grand boulevards and the famous balcony which is forever associated with Eva Peron. In the early evening, gather for an informal reception at the hotel. This morning, you’ll fly over Patagonia before landing in Ushuaia, the southernmost city in the world. Surrounded by spectacular mountain scenery, you’ll enjoy lunch with a view while cruising along the Beagle Channel. 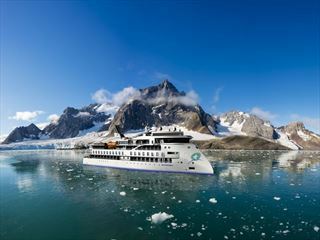 Later, you’ll board the National Geographic Explorer expedition cruise ship. In the ships spacious lounge, you will watch an informative presentation and enjoy a recap of the day’s activities. 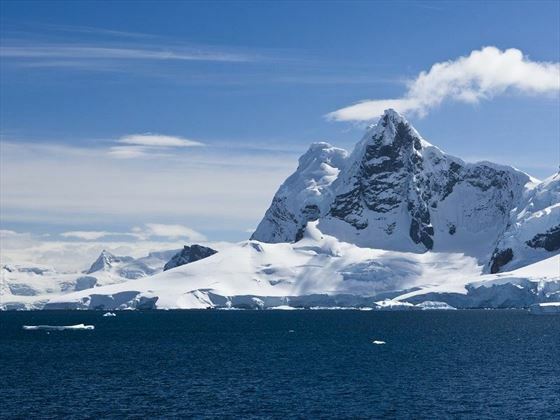 Today you will cruise through the fabled Drake Passage, set between Cape Horn and the Antarctic Peninsula. 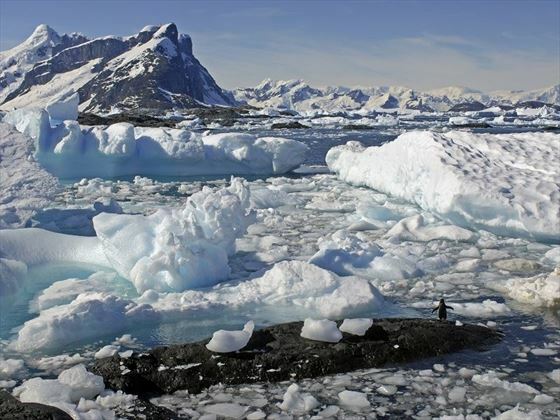 Here, the warmer waters of the north meet the colder denser waters of the south, making the area rich in marine life. 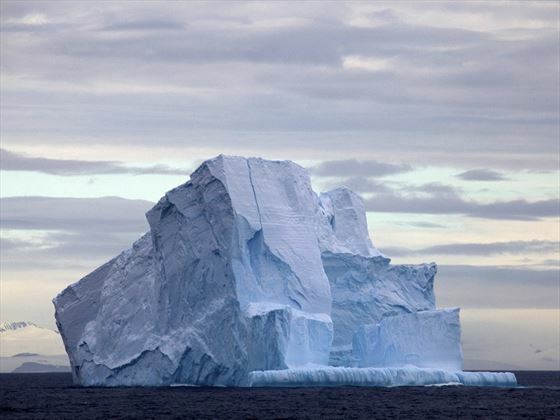 The next six days will be spent discovering Antarctica, the last great wilderness which stretches across ice-covered desert and mountains for 5 million square miles. The ethereal beauty and immense beauty of the continent is like nowhere else on the entire planet. The voyage keeps a flexible schedule, with activities contingent on weather conditions to take advantage of the unexpected with nearly 24 hours of daylight. 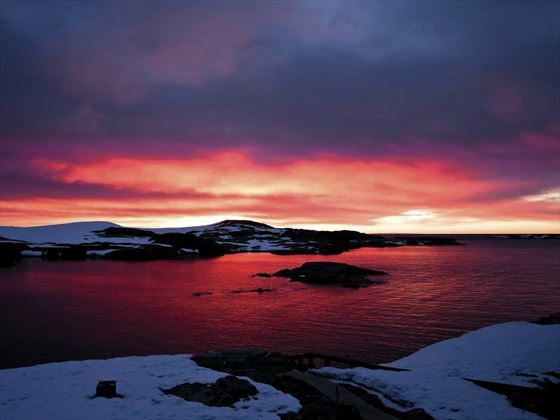 Optional Activities: Take a Zodiac foray amongst towering icebergs, walk along the shoreline amid a huge penguin colony, hike to a summit for breath-taking views, or kayak along a cliff-side rookery in search of blue-eyed shags. 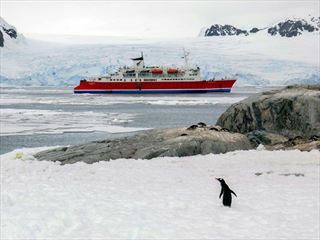 Today you could have the thrill of watching the ship crunch through the packed ice, or step ashore to witness thousands of Gentoo penguins. 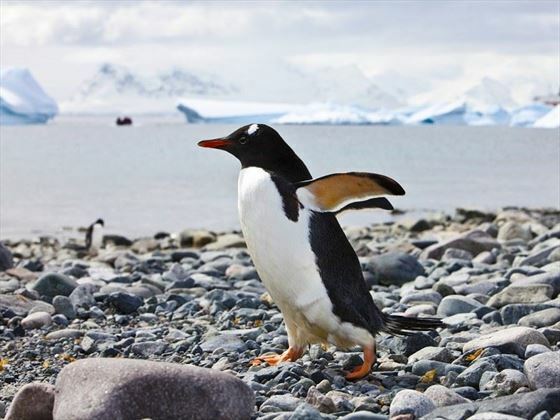 Learn from the experts how to identify various penguin species, and get photo tips from a National Geographic photographer while watching those same penguins. Onboard, the undersea specialist may present a video from today’s dive, with rare photos taken from up to 1,000 feet below the surface. 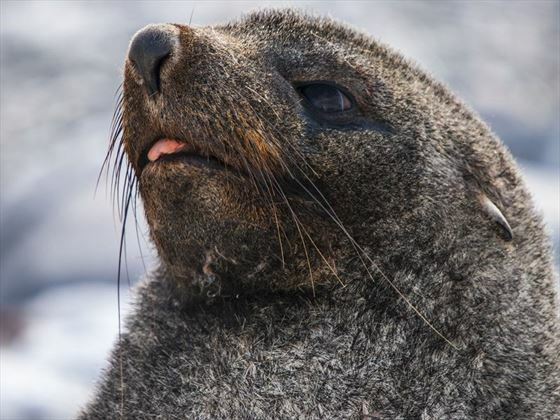 Leave Antarctica and sail back to Ushuaia, crossing the southern waters of Drake Passage. 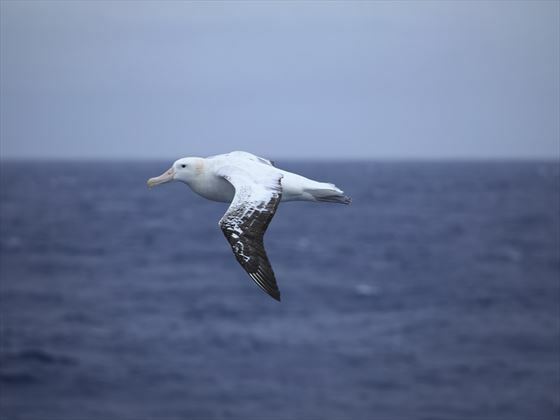 The ship’s wildlife spotters will keep an eye out for marine life, albatross and seabirds that cross the ship’s bow. You may wish to take advantage of the ship’s facilities today, whether it’s with a wellness treatment, spending time in the fully-equipped gym, catching up with books in the library, or joining your fellow travellers to watch the views pass by and discuss your magnificent adventure. 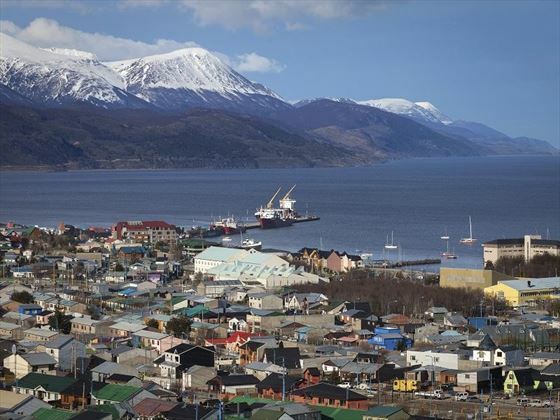 After breakfast, disembark in Ushuaia with time at leisure for independent exploration before proceeding to the airport for your flight to Buenos Aires. Your tour draws to an end today; after checking out of the hotel, head to the airport in time for your departing flight home.